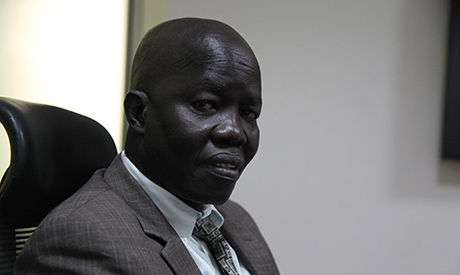 A South Sudanese surgeon, who has spent two decades helping the sick and injured in the war-torn east African nation, was on Tuesday announced the winner of a U.N. prize for treating tens of thousands of people forced to flee violence and persecution. Evan Atar Adaha - a 52-year-old doctor who runs the only hospital in northeastern Maban county - was given the 2018 Nansen Refugee Award for his "humanity and selflessness" where he often risked his safety to serve others, the U.N. said. "I feel very humbled. I hope this award can help draw attention to the plight of refugees especially here in Africa where they are often forgotten about," Adaha told the Thomson Reuters Foundation in an interview. "You may hear and read about them, but it's only when you are face-to-face with people who have left everything and are sick with malaria, or are malnourished, or have a bullet wound that you realise how desperate the need for help is." Nansen Refugee Awardees are recognised by the U.N. refugee agency (UNHCR) for dedicating their time to help people forced from their homes. Former awardees include Eleanor Roosevelt and Luciano Pavarotti. South Sudan, the world's youngest country, has been ravaged by civil war since 2013 after clashes erupted between troops loyal to President Salva Kiir and his former deputy Riek Machar. The government recently signed a peace agreement with rebels, but the five-year-long war has had a devastating impact. At least 50,000 people have been killed and one in three South Sudanese have been uprooted from their homes. The country also hosts around 300,000 refugees fleeing violence in neighbouring Sudan, according to the U.N..
Adaha, known locally as Dr Atar, has been running Maban hospital - which was once an abandoned health clinic - in the northeastern town of Bunj since 2011. When he first arrived, he said there was no operating theatre and he had to stack tables to create a work area. Over the years, he has transformed the hospital and created a maternity ward and nutrition centre, as well as training young people as nurses and midwives. The 120-bed hospital now serves around 200,000 people living in Maban county - 70 percent of whom are refugees from Sudan - and conducts about 60 operations weekly but under very difficult circumstances. Adaha said the only x-ray machine is broken, the operating theatre has only one light, and electricity is provided by generators that often break down. Although the hospital receives support from UNHCR, Adaha said a lack of funds remains his biggest challenge to treating everyone who needs help. "In the hospital, we will treat anyone. It doesn't matter if you are a rebel, government soldier, refugee or a local person. We have pregnant women, malnourished children and even people who are wounded by bullets," Adaha said. "The one rule we have is that no weapons are allowed in the hospital. If you bring a weapon, then we will not treat you. Sometimes it is difficult, but most people now agree." The Nansen Refugee Award ceremony takes place on Oct. 1 in Geneva, and the winner will receive $150,000 to fund a project complementing their work.